When we appreciate the beauty, and vastness of the cosmos, we can experience a deep sense of wonder and mystery about the universe and our place in it. This deep feeling of awe for all nature can connect us to all there is. Fortunately, there are ways we can easily experience the immensity and grander of the heavens. Earlier people, with their crystal clear skies, looked up and saw a spectacular light show every night in the sky. They wondered what they were viewing. Just like Lawrence and his bedouin friends, when we look up into the night sky, we are inspired by what we see. Only today we have a more advanced scientific understanding, and technology to enhance our viewing, and appreciation. When I was a teenager, I purchased an inexpensive backyard telescope. With it I viewed craters on the moon, and sunspots as they moved across our star. One evening, I pointed the telescope at a steady star directly overhead, and then I became truly astonished. 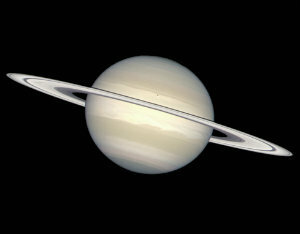 In a deep-felt silence, I gazed at the rings around Saturn, as if I was the first to ever seen them. I experienced a feeling of wonder and a sense of discovery. Later, Carl Sagan and his TV program “Cosmos” came along. Unlike my school teachers, Carl introduced us to science with a heart. From the “Cosmos” perspective, knowledge gave rise to wonder. With his contagious enthusiasm, Carl showed us how to view the cosmos with true awe. He was able to project this feeling, and encouraged us to take part in it. Even though I had focused my university studies on Earth Science, Carl Sagan rekindled my interest in the stars. I was inspired when he said, “The cosmos is all that is or ever was or ever will be.” The passion he conveyed with his voice sent a tingle up my back. The program revealed a hidden hunger in many of us about knowing our place in the universe. It treated us to the epic adventure of scientific inquiry into the natural world. Carl believed the experience of gaining scientific insights can make us feel a soaring sensation, something that can only be compared with falling in love. Moreover, science can fascinate, draw us into it, and engages our emotions. The thrill of discovery, the enchantment with our world and our universe motivate us to peer into the unknown, and wonder what’s out there. On the other hand, when we treat science as cold, hard evidence, and conclusions, it looses its spiritual essence. Carl didn’t present science like it tends to be taught in schools, as a set of fixed beliefs which makes it seem like just another system of religious beliefs. He presented science as a method of inquiry – a way of searching for an answer or the truth. For him, scientific findings are not absolute conclusions, because he knew the scientific view of nature or cosmos evolves year by year. New information is continually discovered, and used to challenge old ways of looking at things. Old answers are then revised to reflect the new information. This is the nature of a self-correcting enterprise. 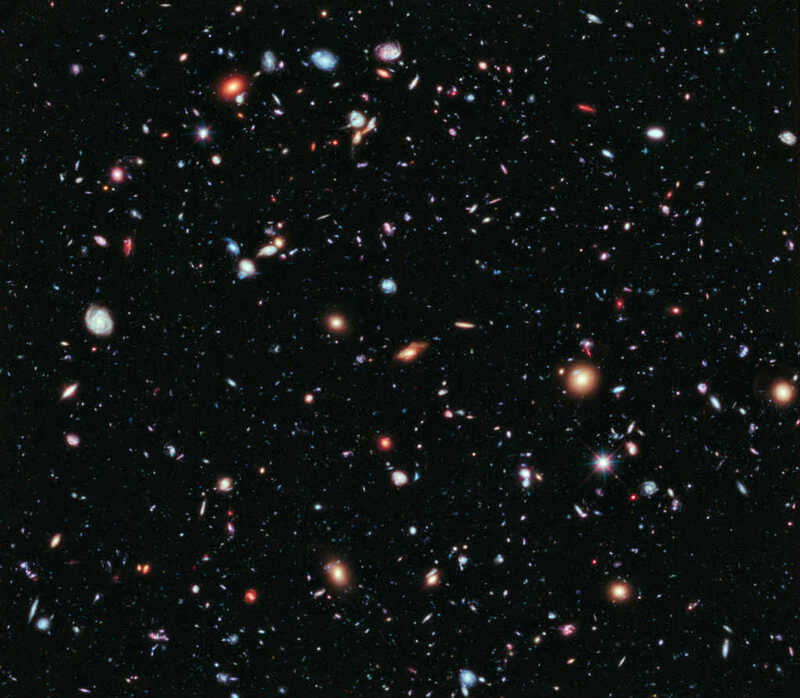 The natural reality of the universe is revealed in ever-increasing depth by the (relentless) error-correcting mechanism of science, not by untested assumptions of out of date beliefs. 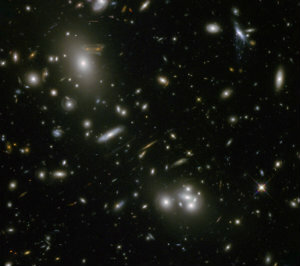 Today, the Hubble Space Telescope, the “people’s telescope,” as well as other research probes allow us to see what lies beyond our everyday life. 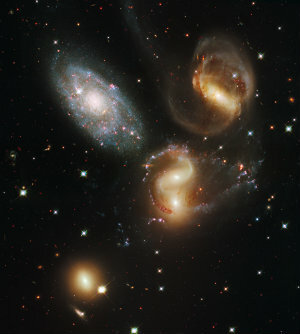 We are captivated by their stunning, beautiful color images of galaxies, nebulae and other heavenly bodies. In addition, viewing these photos can give us an expanded perspective, and possibly stimulate a spiritual experience. These images provided by NASA are available to us on the internet. However, to enjoy the full experience, nothing beats watching cosmic images on a wide-screen TV backed by a music sound track which reinforces our sense of mystery and wonderment. 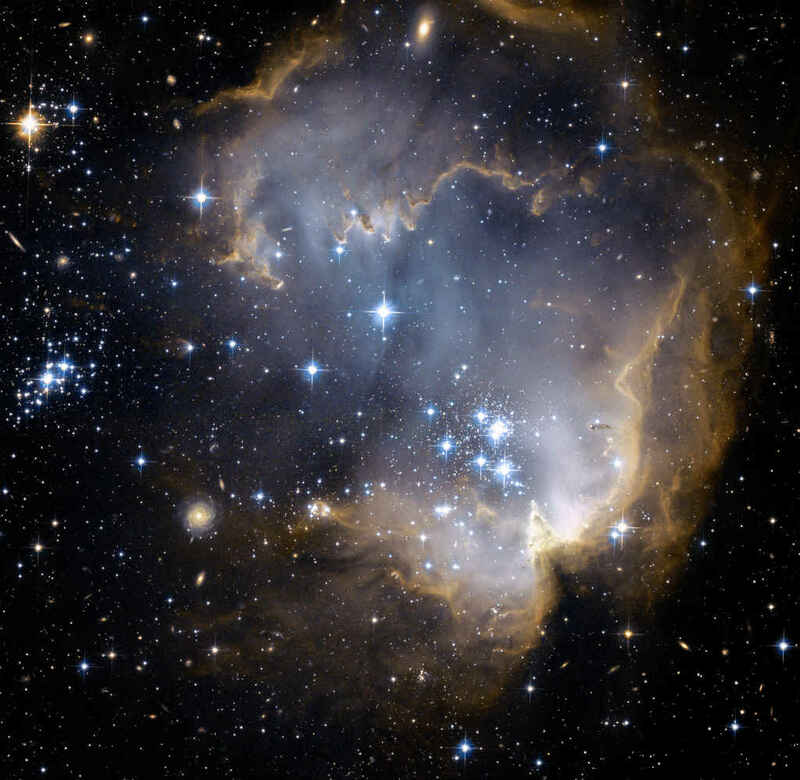 If we view these cosmic images late at night with the lights turned down, it can reinforces this experience. 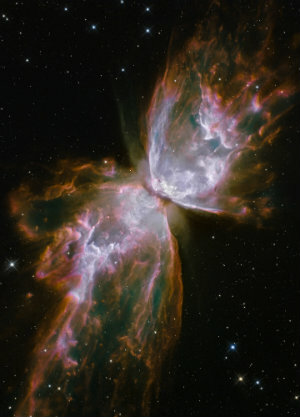 Simply appreciate the beauty of the Hubble photos, and the music soundtracks. Experience a sense of awe and wonderment, as we expand our awareness and consciousness, while contemplating the incredible, vast distances in space, and the immense time frames. 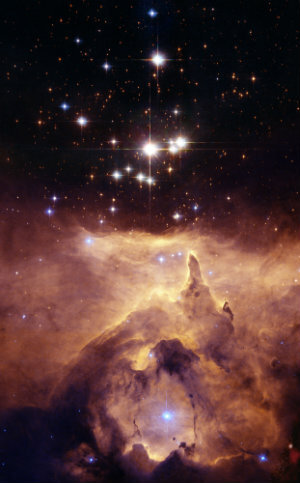 And at a mystic level, develop a sense of oneness with all that exists by connecting with the cosmos. In some cases, one can feel one’s heart light aglow with a mystical connection. I have experienced each of these levels of awareness at various times, so I know others can as well. I invite you to try. When we appreciate the beauty, and vastness of the cosmos, we can experience a deep sense of wonder and mystery about the universe and our place in it. This deep sense of awe for nature and the cosmos can connect us to all reality. There are some wonderful DVDs available for viewing star systems, and experiencing wonder of the universe. Below are reviews of my favorite three cosmic DVDs. 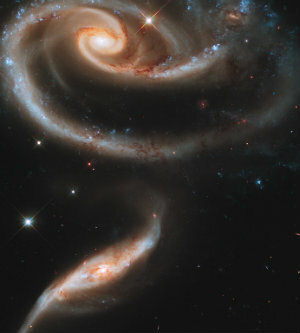 The Stargaze DVDs are particularly good at giving Hubble images an animated quality which brings them to life. 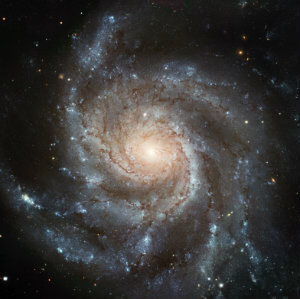 Nebula and stars expand as we fly into them, and galaxies grandly rotate before our eyes. Both Stargaze DVDs have wonderful music sound tracks. For me, the earliest DVD, Stargaze DVD (2000) has the better music in my estimation, which has a mysterious, haunting and lyrical quality. The music emotionally fits the celestial pictures, and enhances our sense of awe, wonder and oneness. However, people with different musical tastes than mine might prefer to turn off the sound, and play their own music in the background. 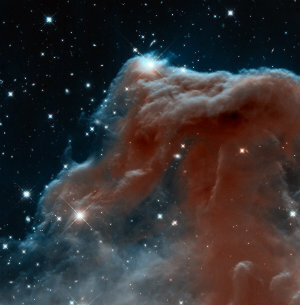 If you want more information about the cosmic objects in the Hubble photos, then try the third one: The Universe: An amazing Journey from the Sun to the Most Distant Galaxies. This narration is enjoyable, intelligent, and yet not too technical. We can view this DVD with or without oral narration. Also, this allows one to view it with just music in the background. This entry was posted in Cosmos, What is Science? and tagged carl sagan, consciousness, hubble, spirituality, The cosmos, universe by earth scientist. Bookmark the permalink.